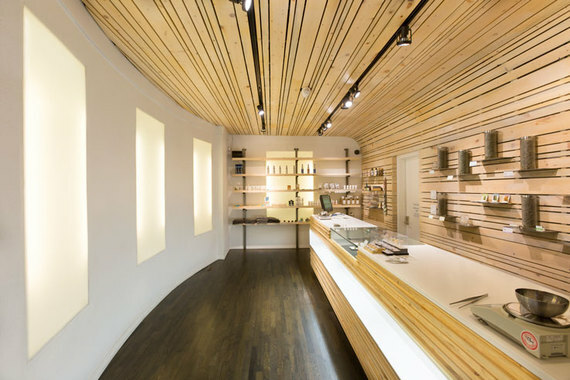 Is Canada Ready For Marijuana Marketing And Stylish Dispensaries? One of the more potentially controversial policies promised by the Liberals is the legalization of marijuana. Whether we agree with it on not, Canada is likely to see marijuana openly available for sale within the next four years. Pot is about to get hot. The small business proceedings of a local marijuana dispensary in Portland, Oregon. Like a breath of fresh air, the Liberal party swept to power in Canada recently with a "sunny days" attitude. Under the leadership of Justin Trudeau, Generation X has taken power, promising open communication and a team approach with an agenda for change. One of the more potentially controversial policies promised by the Liberals is the legalization of marijuana. Whether we agree with it on not, Canada is likely to see marijuana openly available for sale within the next four years. Pot is about to get hot. When I was in Colorado earlier this year, I observed stylishly upscale dispensaries which felt more like entering an Apple store than a place to buy cannabis and accessories. Various strains were displayed in jars alongside tablets where customers could look up origin, and effects. There was not a lava lamp, or dodgy character in sight. Groundswell, pictured here, and Euflora are already doing this in Colorado. So, what might the future of this industry look like in Canada once pot is legalized? To get some insight I interviewed two industry leaders in Colorado. Chris Sams is the CEO of Marijuana Marketing Guru, an arm of Jemsu, a large SEO company in Colorado. His company specializes in marijuana advertising, search engine optimization, "cannabusiness" web design, and analytics and reporting. Olivia Mannix is the Co-founder of Cannaband , a niche marketing agency created as a specialized off shoot from their parent company Marca, a general marketing agency. Canabrand specializes in branding and identity, market selection, and ensuring all parts of the brand are congruent and on strategy. Both leaders saw an opportunity for specialized marketing services to the industry when Colorado legalized marijuana in January 2014. While sale and distribution is legalized, there are still many restrictions. But restrictions can present creative marketing opportunities. Sams noted that the use of social media to advertise is limited since marijuana faces similar restrictions to pharmaceuticals and alcohol. But since more consumers are searching online for information, a strong website and search optimization is key. The company also partners with blogs to do advertising. He sees the combination of a push strategy through ads and blogs and a pull strategy through SEO as an opportunity. Mannix sees the broad reach of media and publicity as a key component to exposure in a restricted environment. She cites her client Neos and their cannabis-infused vapourizing pen as an example. Since the sale of cannabis is restricted to those over 21 in her state, they had found an ABC affiliate TV station in Colorado where 70 per cent of the audience was over 21 years of age. The "Adventurous Life" TV spot they produced was lifestyle-focused, didn't show product and met all legal restrictions for advertising. When the spot was pulled at the last minute, they created a PR story around it, which was picked up by Bloomberg Business and its national news outlets, creating 250,000,000 media impressions. Cannabrand has also been successful getting New York Times and 60-Minutes coverage for their client Mindful. 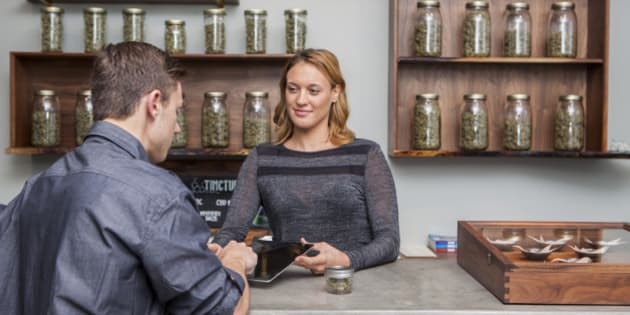 Beyond the promotional opportunities created by restrictions and the expanded distribution chain through dispensaries, there were three other marketing trends they observed. There are two broad segments, medical use and recreational. Both executives saw growth and greater acceptance in the medical use of CBD products for pain management, appetite control and cell generation involved in the treatment of cancer, MS, epilepsy and AIDS. But they agreed that recreational use held the greatest growth opportunity. "We definitely see segmentation in the industry and capturing a wider audience across all segments," noted Sams. Within the recreational use segment, these were the areas where both interviewed saw growth. Whether we're ready for suburban moms on a high, they are a prime target. Notes Mannix, "Women are the new vertical growth. Vaping is of interest since it is discreet, there's no odour and there's no calories like alcohol and edibles. Plus, lighting a burning a flower appeals to women." She also noted that women like to get together to try products, and they are prime targets for high-end accessories. Sams noted that the 25 to 35 yuppie market prefers the upscale branding approach. Dispensaries have popped up in locations to better serve this market. And services such as "Bud & Breakfast" stays for $500 a night are clearly targeting an upscale market. This target group is a blend of medical and recreational use, seeking CBD products for cell generation and healing properties. Mannix referred to this group as "Those over 50 who were coming out of the cannabis closet." This was the original hippy generation who likely experimented in their youth. Now largely with grown children, not needing to set moral standards, or frankly seeing the benefits of legalizing an industry to protect users from indiscriminate producers, they have become more accepting of legalization. Dispensaries have expanded, but it goes far beyond that. With anti-smoking sentiments, the two biggest product growth areas were edibles and vaping. CBD products for medical were also growing. But even within traditional weed, there are strains and brands with different benefits. Then there's the paraphernalia like pipes, vaping pens and infusers. And there are services such as tours, events and festivals, growing schools, cooking classes and social clubs. "The diversity of products, now that it's recreational use, have quadrupled in the last two years," notes Sams. "It's no longer a dispensary system, there are new products across the industry." So, is Canada ready for this?